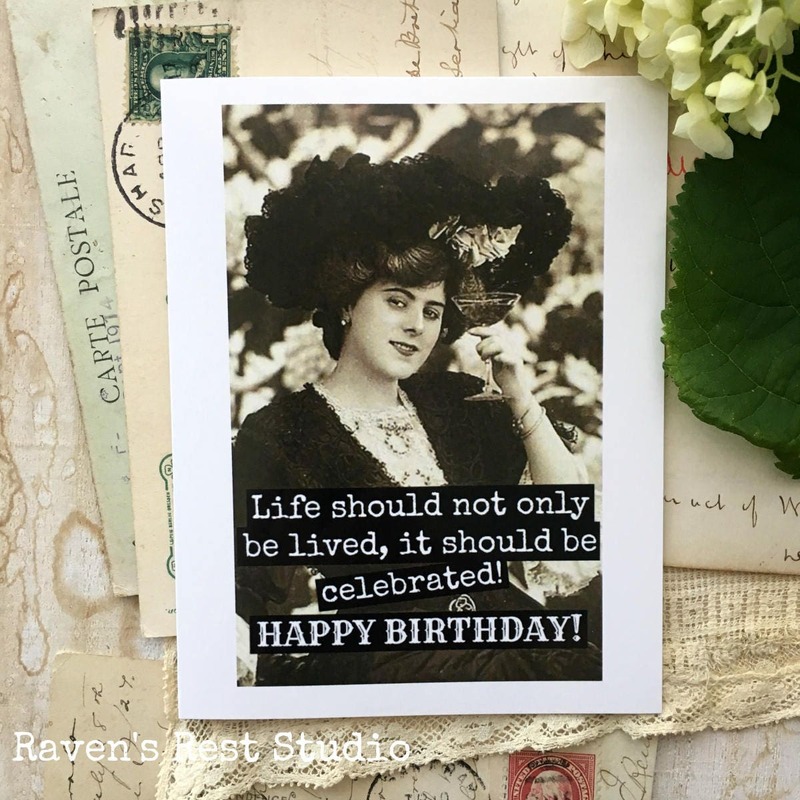 Card #249 - Birthday Card - Life Should Not Only Be Lived, It Should Be Celebrated! HAPPY BIRTHDAY! 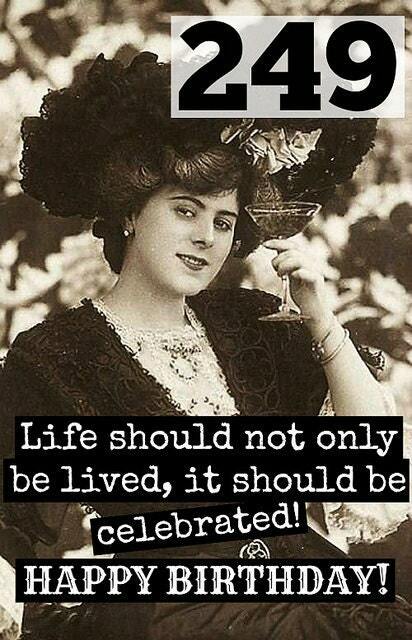 This card features a vintage woman drinking a glass of wine and reads: "Life should not only be lived, it should be celebrated! HAPPY BIRTHDAY!"